Dr. Tom Crawford - STEER FOR STUDENT ATHLETES INC.
"I became a board member of Steer to assist the team in implementing a set of programs that I have studied, designed, and implemented in various platforms throughout my life as a CEO, Program Director, Teacher, and Coach. I strongly believe that our team and approach will be successful in achieving our ultimate goal of guiding student athletes to better outcomes after high school." Tom joined USA Ultimate as CEO in late 2009 and has increased revenue by 75% since taking the leadership role, while growing the youth division to the fastest growing segment. Prior to accepting the role as Chief Executive Officer for USA Ultimate, Dr. Crawford was a founder and Managing Partner of High Performance Associates (HPA), which provides consulting services to multiple leading international hedge funds, private equity and financial services companies, Fortune 100 companies, universities, professional sport franchises, and executives and athletes across the United States. Since its inception, High Performance Associates’ expertise and commentary has been sought by publications and news outlets such as the NY Times, NY Post, Fortune, Newsweek, USA Today, Men’s Health, Popular Science and ESPN. He was also the co-founder of Altheus, an award winning Health and Human Performance company headquartered in New York, with 18 program and retail center locations across the north and southeast of the U.S. which Tom helped grow from one employee (himself!) to over 250 professionals. Altheus received national and regional awards and recognition for its unique and successful health and human performance programs. Altheus was sold to Healthtrax and Healthyfit, two successful medical center affiliated preventive health companies. Tom’s launching of Altheus and HPA came after many years in the Human Performance field, including almost 10 years as the Director of Coaching and Managing Director for high performance programs for the United States Olympic Committee (USOC). During his tenure at the USOC, Dr. Crawford led the development and management of education and performance programs for over 45 Olympic and Pan American sports, including virtually all Olympic teams and coaches. His work supporting America's top coaches was featured on NBC during the Atlanta Olympic Games. Tom also served as Vice President of Eteamz, helping to build and grow the company into one of the most successful online media properties for the youth sports market. Eteamz is now owned by Active and ESPN. Prior to the USOC and Eteamz, Dr. Crawford was a founding staff member and Senior Director of the National Institute for Fitness and Sport, where he worked collaboratively with corporations, universities, medical centers, government agencies and National Governing Bodies of Sport. In his capacity as Senior Director, he led the research, development and management of preventive health and performance programs for the complete continuum of human development, including nationally acclaimed executive development and youth development programs. He also worked with athletes and coaches from the National Basketball Association, Major League Baseball, National Football League, ‘Top-10’ professional tennis players, as well as other professional and amateur athletes from across the United States. His programs at the National Institute were featured live on "CBS This Morning." Dr. Crawford has been a keynote/featured speaker in over a dozen countries worldwide, as well as an invited lecturer at prestigious universities such as The Wharton School, Columbia, Brown, Stanford, Indiana, Purdue, The Shanghai Institute, the Australian Institute for Sport, The University of Malaga in Spain and the Wingate Institute in Israel . He has organized and appeared on programs with athletes, coaches and journalists such as John Wooden, Digger Phelps, Billy Packer, Frank Deford, Bob Costas, Bonnie Blair, Todd Martin, and many more. He presents on a variety of topics including: Leadership for High Performance – Maximizing Human Potential; Talent Identification and Development; and Authentic Happiness. In 1989, Dr. Crawford was the first graduate to receive a double-doctoral degree in Performance Psychology and Motor Development from Indiana University, where he was awarded the 2006 Distinguished Alumnus Award and served as a special advisor to the Dean of the School of Health. Previously, he received his master's degree in Industrial/Organizational Psychology with an emphasis in Leadership from the Purdue University School of Science. 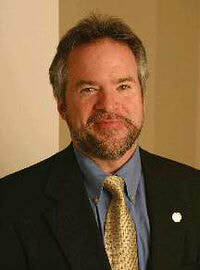 He is a member of the American Psychological Association and The Association of Chief Executives of Sport.